Our town and city centres are awash with both men and women insistent upon wearing disgusting nylon trousers, with two stripes down the side. Clad in such athletic outfits, it’s clear from the way they carry themselves that the most strenuous sporting activity they’ve took part in recently has been to have a flutter in the premises of William Hill esquire (or Messrs Ladbroke, Coral or Betfred). As an aspiring gentleman, I find this lack of pride in one’s appearance utterly perplexing. I always try to make sure I am properly presented at all times, cutting a dash whether in a booze-fuelled business meeting (I wish there was booze) or quick smarting it to the local shop for an emergency packet of nappies (more than likely). Over recent times, I’ve been building up items of clothing that I think a gentleman should wear. However, there are still lots I’ve yet to acquire. 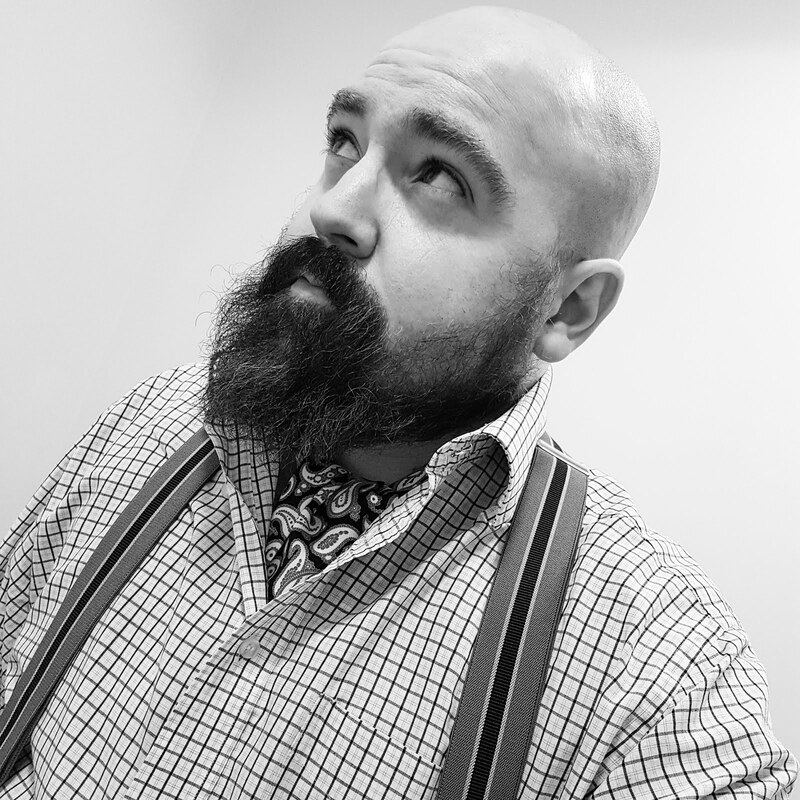 To aid me in my gentlemanly pursuit and to keep me focused on the prize at hand, I’ve put together a little list containing the basic items I think a gentleman should have in his wardrobe. I’ve indicated the things I have and the items I still need. Need: A tweed three-piece for the country in brown or olive green. Got: A dark navy blazer is a must along with a Harris Tweed jacket. Got: A flannel pair in dark or medium grey, three or four cotton trousers, a pair of corduroys. Need: A pair of thick moleskin trousers. Got: A Chesterfield-type overcoat in dark grey or black, with velvet collar. Got: A beige number. Otherwise known by Michael Caine fans as the ‘Harry Palmer’. Got: A beige Harrington jacket, an olive Barbour wax jacket. Need: A quilted Barbour jacket and a detachable liner for my wax jacket. Need: The quintessential black bowler (I should really have one by now), a moleskin cap. Got: Two made from the softest merino wool such as John Smedley, a Fair Isle (or Nordic) patterned knit, a cable jumper, a Slazenger v-neck like Sean Connery wore playing golf in Goldfinger and the all important Christmas jumper that grandmother knitted for you (think Colin Firth in Bridget Jones). Need: A turtleneck cotton knit. Got: Button-down and non-buttoned Oxfords, gingham patterned, stripes. Need: Pinhole, spearpointed and rounded club collared shirts. Ideally, at least one made-to-measure. Need: Lacoste and Ralph Lauren versions. Got: Regimental stripes, silk ties and slim Italian knitted ties in solid colours. Got: A black pair of Oxfords, a brown pair of brogues, an oxblood pair of loafers and a pair of boat shoes in either blue or brown. Need: Some black brogues, ideally Church's. Got: Bright coloured Pantherella socks and colourful Burlington argyle patterned ones. Need: More Burlington argyle socks. Got: A brown leather belt, a black leather belt. Need: A Madras check one. Got: Lightweight wool scarf that will go with anything. Got: Black leather and brown leather gloves with soft wool lining. Dents are a decent glove maker, I picked up a nice pair at the local TK Maxx. 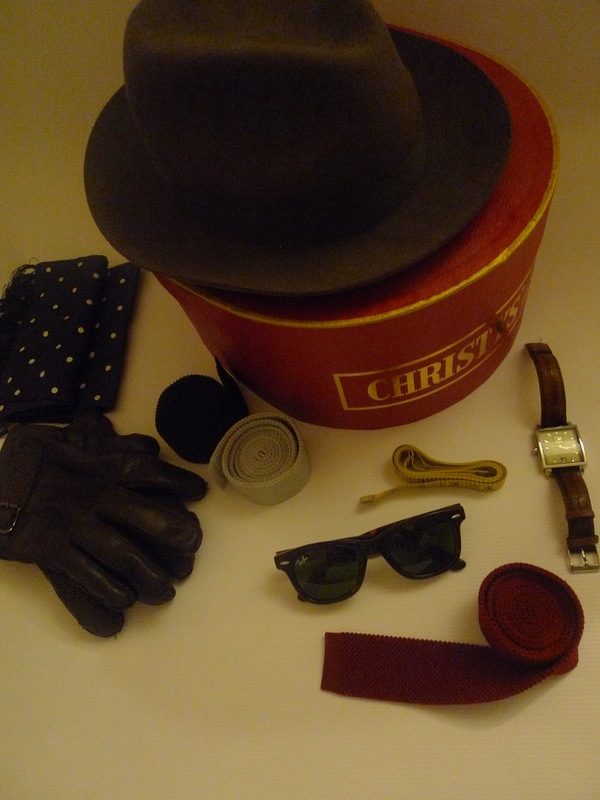 Got: Tie clips, cuff links, a Simon Carter watch, a shoe polishing kit, several white handkerchiefs, one or two cravats, tortoise-shell Ray-Ban wayfarers. Need: More cuff links, few silk pocket handkerchiefs, a clothing brush and a watch with a black leather strap. Please do tell me if you think I’ve missed anything. Wow, it sounds like you're ready for almost any occasion! Very impressive, I wish my wardrobe was so comprehensive, but my head is too easily turned by a swish dress, even if it's utterly insensible. Thank you, kind lady! I think you've got the correct approach - you have got to let your heart lead you when it comes to building your wardrobe, especially those extravagent flourishes that make an outfit. An utterly insensible purchase can soon become a sensible one once you've acquired the extra items to go with it. I love your style, you have a real eye for pulling together a look. You are most kind, thank you for your lovely comment. I am delighted that my little periodical is reaching far flung lands across the globe and that you have found it useful. More satorial shenanigans will be popping up on future Saturdays at 4.00pm Grenwich Mean Time. This is really a great work and it really enhance my knowledge about fashion stuff.This is really good.